If you’re ordering from New York State or the State of Pennsylvania, the appropriate sales tax will be applied. Sorry, but rules is rules. Decks are shipped via the U.S. Postal Service Priority Mail service. 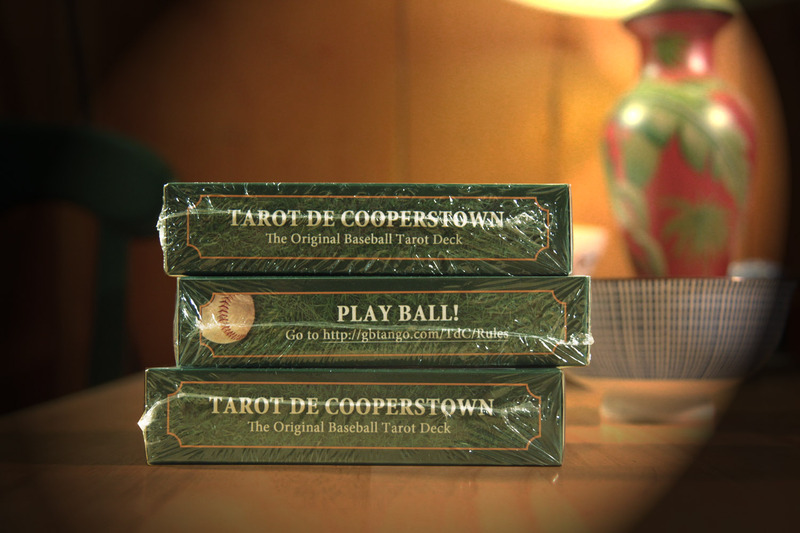 For one or two decks, that shipping rate is US$5.95 to anywhere in the U.S., US$21.95 to Canada and US$26.50 anywhere else. For a table of complete shipping prices, click here. The card stock is a sturdy 330 GSM. 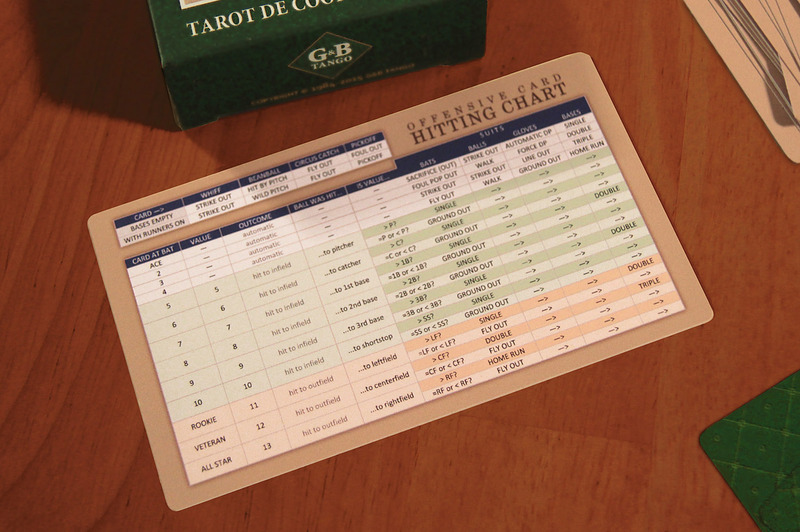 The cards also have a UV coating that protects against both wear and fading. It also makes them delightfully slip-slidy against one another, which is of value when you’re shuffling, dealing or selecting a card from the top of the deck. 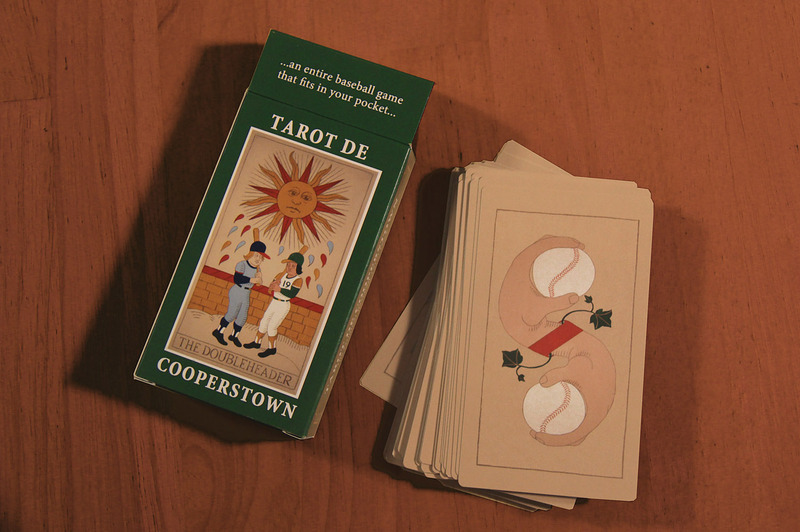 For those who are using the deck for the purposes of cartomancy rather than playing baseball (you can do both, of course), the cardback design is bilaterally symmetrical. As a result, you can't tell its up-or-down orientation from the back. If you represent a store or a wholesaler, click here to get in contact with us about reselling TdC decks.